Venture Capital, a program from Wharton Executive Education, will lift the veil on one of the most exciting and perhaps least transparent areas in finance. Designed for investors and entrepreneurs alike, participants will come away with a greater understanding of how venture capital (VC) works; how the best venture capitalists source, screen, and value deals; and how to design contracts that protect both investors and founders. Wharton’s David Wessels says Venture Capital shows you what it takes to fund a company and make it successful. The May 2019 session is full. Please email for waitlist information. Venture capitalists generally take a leap of faith with a business idea or founder when choosing to invest in a start-up. They have to value a company whose future financial success hinges on an unproven technology or product that hasn’t been fully commercialized or has yet to generate any revenue. And because of the longer time horizon to profitability and a greater degree of uncertainty of achieving success, VC has a risk-return profile that is significantly different from that of a conventional, established business with predictable revenues. As a result, the tools and valuation methods venture capitalists use to assess a business without any tangible assets are different, too. Venture Capital starts with a discussion of how VC funds are organized, how investments are selected, and how due diligence is conducted. Participants will examine case studies that detail a transaction from beginning to end. In this manner, participants will see how a deal is structured, learn more about the differing incentives of a VC fund and entrepreneurs, and gain a deeper understanding of venture investing. This program will provide participants with a rigorous framework both to evaluate investment opportunities and to manage a multi-stage investment process in an innovative firm. Key Takeaways: Adjunct Professor David Wessels on what participants will learn. Adjunct Professor David Wessels about who should attend. Venture Capital is designed for those who invest capital, such as angel investors as well as institutional investors and their advisors; entrepreneurs seeking funding for their companies in their early stages of growth; and government leaders looking to encourage entrepreneurship in local markets. Additionally, the program provides an excellent opportunity for ultra-high-net-worth investors who are looking to make investments in venture capital funds. I’m the founder and CEO of Capital Safi, an asset management firm. Most of the funds we invest in are in Bolivia, but we’re currently expanding into other Latin American countries. We’ve also partnered with UBS and Morgan Stanley in a fund that invests across the world. I enrolled in Venture Capital because I needed to acquire additional venture capital tools for myself and my team. I’m very familiar with Wharton and the strength of the school especially in finance, and I had no second thoughts about signing up. Some of my associates will be going through the program too. We also took a previous Wharton Executive Education program, Private Equity. The course gave me knowledge that can be readily applied back on the job for high-impact results. We went through the most important areas of VC investing such as deal sourcing, deal flow, investment selection, valuation, deal structure, and exits. We received powerful tools for evaluating business models, which really addresses a blind spot in venture capital. Investors should pay special attention to business models when screening investments. I also liked the fact that the program supplied us with a post-program website and some amazing resource material including articles and book recommendations. The faculty were stellar. They literally were the ones who wrote the book on the subject. The professors brought to the classroom their deep knowledge of academic theory combined with real-world experience. That’s very powerful and unique, and makes the learning experience more immersive. And the guest speakers were at the top of their fields. I’m always going back to what I learned in the program, applying it to my everyday work, with just a few tweaks because my market is much smaller. We’re planning to start a new venture capital and private equity fund, so I’ve been constantly going back to my notes and the resource materials. The class was a very collaborative environment of mostly world-class, high-caliber people, which made the program even better. The experience was amazing. I left energized with fresh thinking and empowered with valuable tools and perspectives in the field of VC. I highly recommend it for those seeking a top-notch education in both the qualitative and quantitative approaches to venture capital. The course was an asset to my company and my career." I work for Midea Group as U.S. investment lead, looking for technology opportunities for my company. I’m based in the San Francisco area, but the company’s headquarters is in China. When you’re evaluating early-stage startups, valuation is tricky, so Wharton’s Venture Capital program was very beneficial. I studied finance and did investments for many years, but my experience was mostly in private equity, meaning mergers and acquisitions. To evaluate a startup is difficult; it’s not just a financial number. The Wharton Venture Capital class gave me good lessons on how to evaluate startups. Right now, there are many so-called unicorn startups with a high valuation, but many of those companies don’t have profit or EBITDA. When I first relocated to the Bay Area, I was puzzled by those situations. The Venture Capital program largely solved my questions — how to value the early-stage startups, structure VC investment deals/term sheets, effectively adjust valuation to the investors using various investment terms. For most investment professionals, we don’t have a legal background, and the term sheet sessions gave us insight into legal as well as valuation. I loved the course. I would definitely recommend it, especially for people starting a career in venture capital. 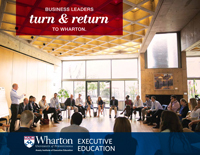 I’ve taken finance courses at MIT and Harvard before, but the executive education finance courses at Wharton are still very helpful for me because they are practical, connect finance with overall business strategies from executives’ point of view, and solve real life finance/investment puzzles. I’m in Wharton’s Advanced Finance Program now and will be taking other Wharton courses as well." I’m currently the vice president for Europe, the Middle East, and Africa at NeoPhotonics Corporation. I’m based in Milan, Italy and San Jose, California. 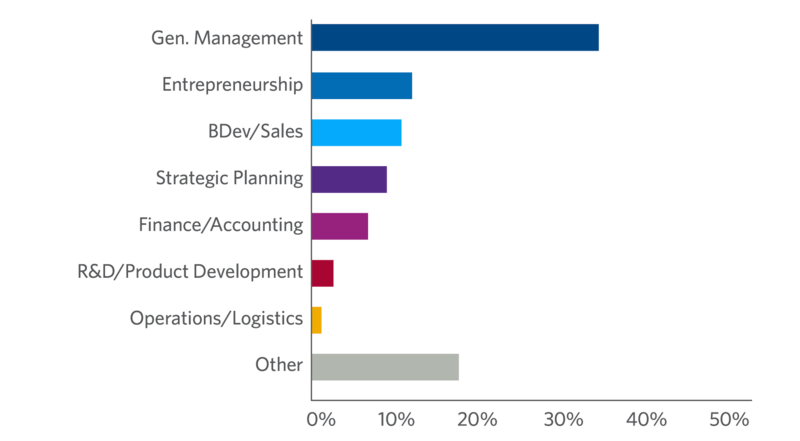 In my region, I am in charge of sales, marketing, R&D, manufacturing, corporate VC, and mergers and acquisitions. I wanted to enroll in Wharton’s Venture Capital program because I deal with mergers and acquisitions in my job, so it’s corporate VC. Another reason is that I’m planning to leave the company at the end of this year and open a venture capital fund in Milan, where I will be a general partner. We will focus on artificial intelligence, robotics, IoT, digital health, and fintech. The Wharton program was very valuable for me because so far I’ve only worked in the corporate VC and M&A world. What I learned at Wharton is extremely useful to setting up my own venture capital firm. It was a well-rounded course and a good overview of everything. Plus, whenever we had questions, the professors were available to us. My most valuable takeaways from the course were, first, understanding the different points of view of the limited partner and general partner; second, learning about how a fund is structured; and third, learning about option pricing methods, which was very valuable. I enjoyed being with the other participants because it wasn’t a homogenous group where you have people saying the same thing and they’re from the same types of companies. There were angel investors, corporate VCs, and people changing careers, like in my case, moving from a huge public company to a small fund. So we were from all different backgrounds and experience, and we were actually tremendously helpful to each other. Even now, we still have a group where we ask each other questions and share information, and there’s always somebody who knows the answer. Completing the Venture Capital program will help me professionally because Wharton is a big name and it’s a great university. I would absolutely recommend Wharton’s Venture Capital program to others." I'm a former wealth/portfolio management and banking executive. I'm also an entrepreneur with 25 years of experience. I’ve built and sold three companies. I’m currently reviewing and investing in public, venture capital, and startup opportunities. We all understand the financial and emotional benefits of education, learning new things, and meeting new people. Many executives already possess advanced degrees, plus they attend conferences with their peers, read books, watch videos, read the news, et cetera. But is it enough? Often the answer is “no” for seasoned executives. It’s not stretching them or giving them what they need; it’s more of the same. We need to “sharpen the mental saw,” as Stephen Covey would say. But our busy schedules always make upgrading our knowledge something we’ll do in the future. If we do decide to solve the information gap problem, it will take time, money, and a ready-made solution. We want to upgrade our skills and knowledge in the most effective, and hopefully enjoyable, way. That’s where Wharton’s Venture Capital program came in for me. I felt that Wharton would create a worthwhile program, and my expectations were exceeded, particularly by the quality of the attendees, the variety and practical experience of the professors, the real-world speakers, and the lively interactive discussions and role-play. These were full days but they went by in a flash. There were lots of break-out sessions where I had great conversations with venture capitalists, PhDs, Harvard MBAs, Wall Street traders, entrepreneurs, and more. I am an attorney who represents venture-backed companies and institutional capital funds looking to invest in high-growth companies in Michigan, Illinois, Texas, and California. I decided to take Wharton’s Venture Capital course to learn more about the business of venture capital. I saw Wharton’s program as a way to gain a competitive advantage over competing attorneys who do not understand the economic implications of venture capital financings. I particularly enjoyed the session with Professor David Wessels on option pricing. I’ve consistently used Wessels’ book, Valuation as a resource when navigating corporate finance issues. So imagine my surprise when I walked into a class on startup valuations and the professor is the person whose work I’ve referenced numerous times over the years. In Wessels’ session, we received a very robust, well-researched tool that covers the Black-Scholes model and option pricing. As soon as I returned to the office the following Monday, I put the tool to use. I’m now able to help clients understand the true economic value of their investments, whether by way of convertible debt, SAFE, or priced round. I was very happy with the other participants. 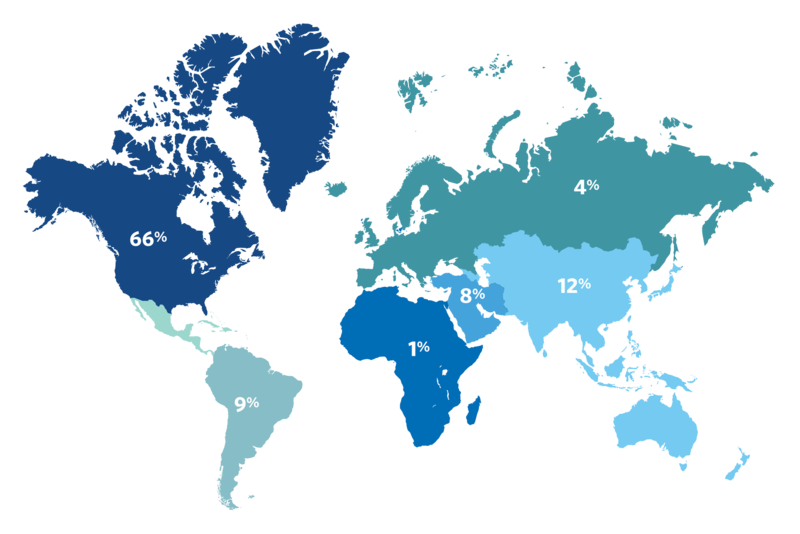 The cohort drew from just about every continent and spanned family offices, corporate VCs, institutional VCs, and angel investors. Getting insights and exchanging ideas with professionals in venture capital and corporate development, the public sector, as well as entrepreneurs, was invaluable. My expanded network from the VC program has been extremely beneficial. Our cohort stays in constant communication through email, LinkedIn, and WhatsApp. We share deal flow; market intelligence; and recommendations on traversing issues with portfolio companies, brokers, LPs, and co-investors. 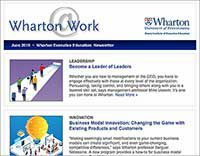 I absolutely recommend Wharton’s Venture Capital program for anyone trying to increase their knowledge of the fundamentals of venture capital. It was a phenomenal experience. I will continue to invest in my education and network through Wharton’s General Management Program." I’m an investment director, which entails sourcing, diligence, executing venture transactions, and managing our portfolio of investments. I decided to enroll in the Venture Capital program because I was looking for a formal body of knowledge, a structured program, around venture capital. I found that the Wharton program is the only one that focuses on venture capital; most of the other programs were PE or private equity/venture capital. My favorite session was the one on valuation of early-stage companies. It showed me quite a different way for how we as venture investors should be thinking about valuation. Not only in terms of structuring the deal, but also looking at the management, the business model, and the market. It was a systematic way of evaluating companies, and of structuring deals that are not unduly biased toward either investors or founders. Since attending the program, I’ve been actively pushing my team to think along these lines. We’re looking to see how we can implement some of what I’ve learned into the deals we are working on now. The knowledge is very useful and well appreciated by the team. The faculty was very engaging. I was there for four and a half days and can’t think of a single session where I was bored. I think the faculty did an excellent job of carrying the class with them in terms of managing expectations and discussions between people who were relatively new to venture capital and those who were more experienced. Another reason I joined the program was for the network I would acquire. I have learned a lot from the other people in the class, who were from different geographies and different sectors. I do venture investments in energy; I met other corporate venture capital investors, and VCs who are active in areas such as technology and media. So the diversity of opinion and thought was very helpful in the classroom discussions. I continue to engage with some of those people as well." Tuition for San Francisco programs includes meals and does not include accommodations. The San Francisco program starts on Sunday.